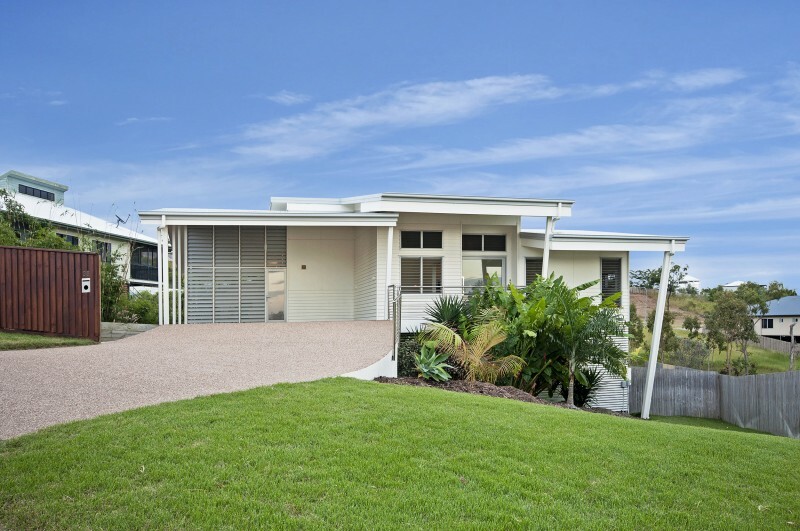 This contemporary home has been strategically designed to capture the ocean breeze from the hill side location, allowing the entire home to be cooled naturally. 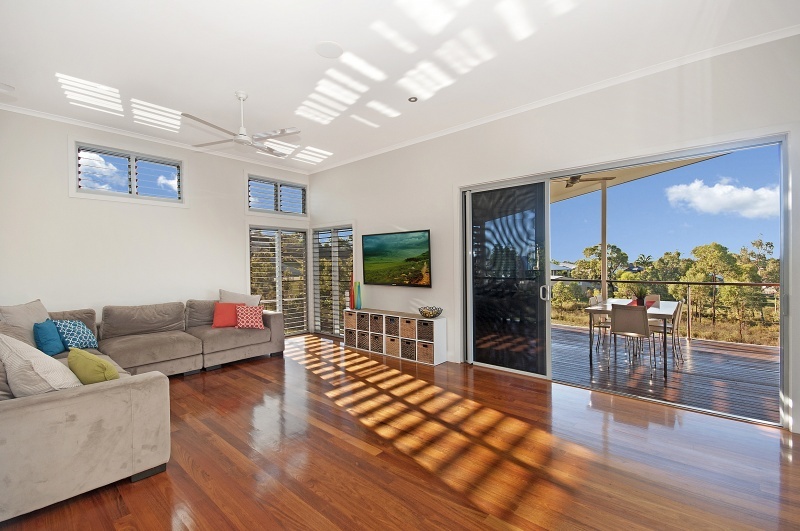 There is an outlook from every living space, bedroom, bathroom and decks in this home. 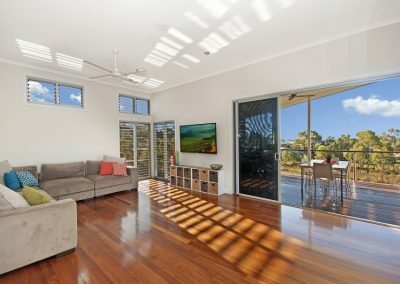 The design has allowed for the view to change from Magnetic Island and Castle Hill in the distance, to the tree tops and ocean glimpses across Bushland Beach. 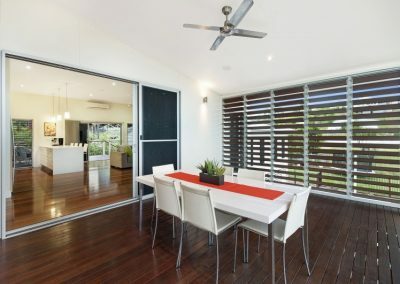 The timber flooring throughout the home matches perfectly with the dual outdoor decks; a tropical breakfast deck from the kitchen is surrounded by Climate savvy gardens and an easterly facing deck overlooking the backyard and pool. 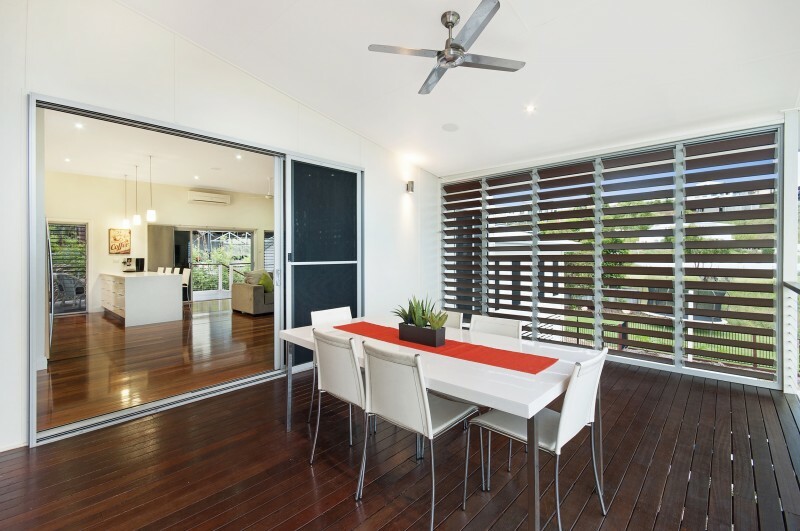 Modern Altair Louvre Windows feature throughout the home, adding to the tropical feel. 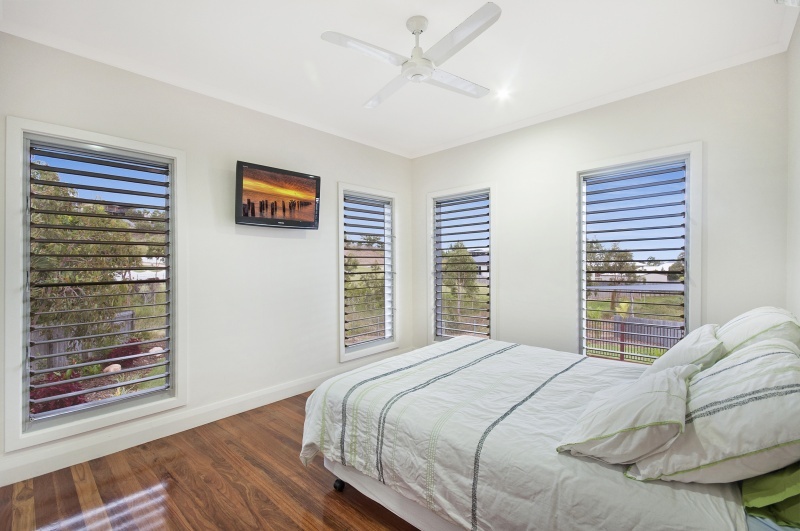 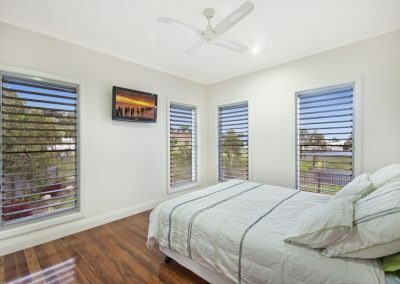 They allow the breeze to move freely throughout the home, adding privacy when required and are very secure. 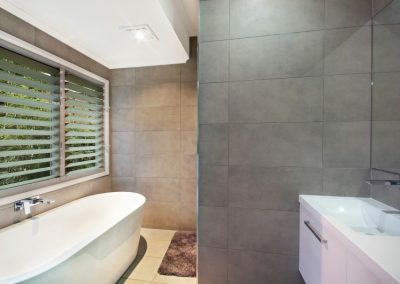 The bathrooms have fabulous simplistic charm and the master bedroom is located at the rear of the home. 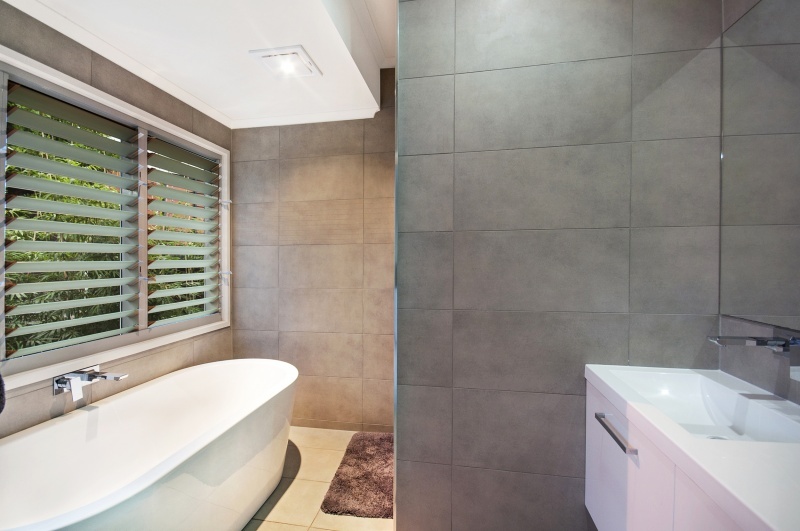 With Altair Louvre Windows incorporated into the design, they provide fresh air, fabulous garden and tree line views when open and best of all privacy when closed! 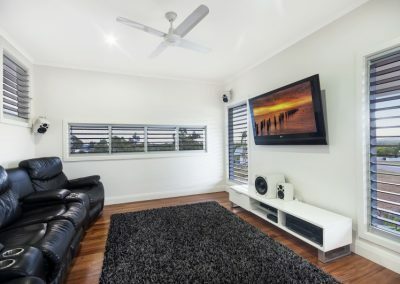 Outside on this 1247 sqm allotment there is an additional beautiful, cool, under-house entertainment area of 70 sqm, overlooking the in-ground pool. 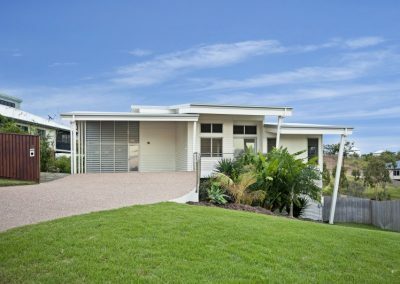 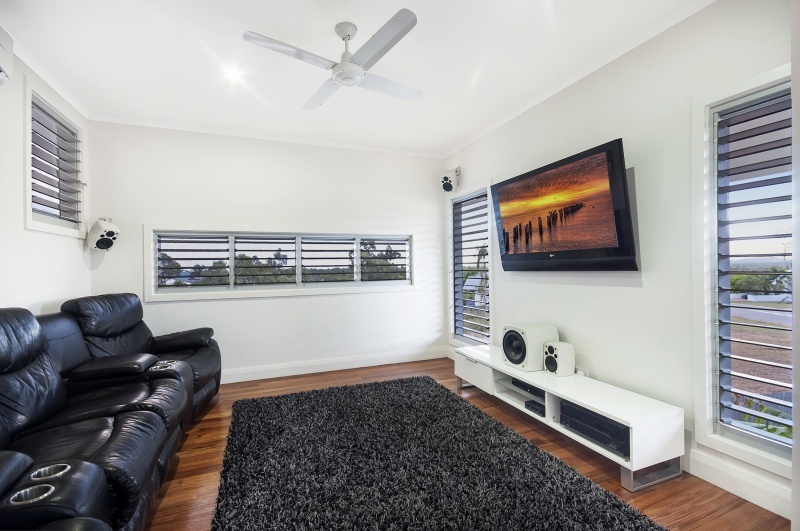 This well thought out home is designed for north Queensland living, the use of space inside and out is cleaver, and the inclusions and design are respectable.